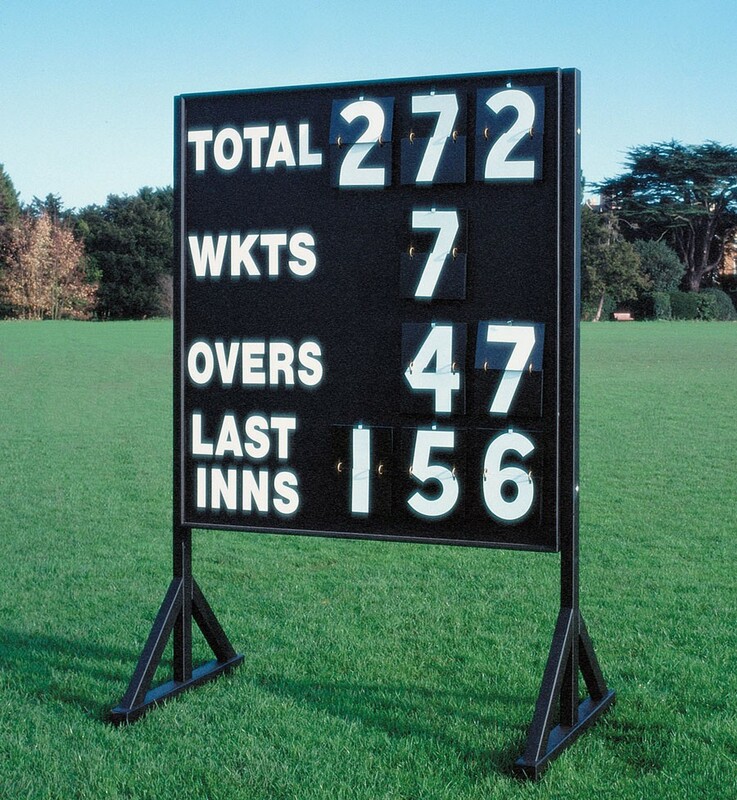 Ideal cricket scoreboard covering Total, Wkts, Overs and Last Inns. Made from birch faced exterior plywood painted matt black with white cast vinyl lettering and telegraph numbers. Size: 1.370m wide x 1.525m high. Can be supplied with optional timber stands or with galvanised steel legs and sockets if preferred. Illustrated showing optional timber stand.